Maria Alejendra, a factory worker in the suburbs of Buenos Aires, Argentina, spends her days cutting pieces of rawhide at the Huesitos de Wilde Cooperative. Along with the 33 other original workers at the dog treat factory, Alejandra now makes twice as much money — 2,000 pesos a month — as she did under her former boss. Alejandra, 41, who has worked at the factory for 14 years, is now able to listen to music and drink maté, a South American herbal tea, while she works. The Huesitos de Wilde Cooperative is just one of more than 250 worker-recovered businesses in Argentina, which employ a total of 13,000 workers. 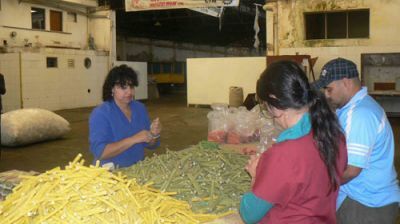 Part of a broader effort to recover factories, which started after the country’s economic collapse in 2001, the workers at Huesitos de Wilde first occupied the factory and took over production in January 2007. Though Argentina’s economy has improved since the crash, the current economic downturn has caused a recent increase in factory take overs, with a significant uptick since February. Nearly 20 factories have been occupied since 2008, and 33 new cooperatives have been officially registered with the government in the past few months. While the government readily grants businesses cooperative status — there are currently some 10,000 cooperatives in Argentina — gaining this recognition is the first step for the few hundred recovered enterprises that wish to be worker-run. However, the government has yet to recognize the legal right of any of these recently recovered businesses to exist. While cooperative enterprises do allow workers a greater role in company decisions, workerrecovered businesses allow employees to reclaim lost jobs, as well as receive the same wages and equally participate in management decisions, as is the case with Huesitos de Wilde. Workers who seek to recover a business from their owners are faced with numerous challenges. In addition to often lacking management experience, the struggle to find start-up money and maintain a profitable business can often sideline reclaimed enterprises. The workers at Huesitos de Wilde were offered guidance by an array of groups, including the Argentine Workers Center, a trade-union federation. “Once we were taught, we came back to take over the factory,” Alejandra said. Reclaiming factories that have been abandoned by owners provides workers with a way to counter the self-interest of some employers, according to Marie Trigona, a journalist and filmmaker who has worked with Free Speech Radio News and Z Magazine. Businessmen often exploit crises by declaring bankruptcy so they can set up shop elsewhere and hire cheaper labor or invest their money in more lucrative projects, Trigona said. While Argentina has provided business owners with the option to run cooperatives since the late 19th century, the country’s road to an option such as worker-run enterprises has not been an easy one. Argentina’s history has been plagued by neoliberal policies, such as widespread privatization, deregulation and cutbacks in social services. Prior to the military coup of 1976, Argentina was one of the wealthiest nations in Latin America. It was the envy of the developing world, with strong labor laws and an unemployment rate of 4.2 percent. But after seven years of brutal military dictatorship — which were marked by widespread torture and the “disappearance” of 30,000 political opponents — followed by a string of pro-free market governments, these progressive policies were eroded. By the 1990s, Argentina was viewed by the West as a poster-child for embracing neoliberal policies championed by the World Bank and International Monetary Fund. But when the speculation- driven economic bubble of the 1990s burst in December 2001, the country’s banking system collapsed. Business owners declared bankruptcy, fired scores of workers and moved their money offshore, resulting in a capital flight of $18.7 billion in 2001. Argentine civil society responded through popular revolt against the government and economic elite. Tens of thousands of protesters took to the streets and toppled four governments in a matter of weeks. Factory takeovers were commonplace, and violent clashes with police led to dozens of civilian deaths over the next several years. 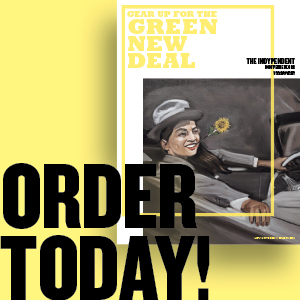 In 2002, the unemployment rate was 25 percent, with another 20 percent of workers underemployed and 60 percent of the country living in poverty. 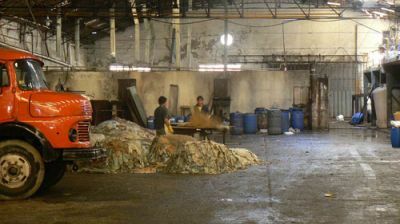 Workers began taking over factories in an attempt to reclaim their livelihoods. Argentina’s economy began recovering from the collapse in 2003. From 2003 to 2008, for “most recovered factories, the priority was growing economically, finding capital, or raising capital through work. Most of them have done pretty well, while others have just survived,” said Esteban Magnani, who has worked extensively with the recovered-business movement in Argentina and is the author of The Silent Change: Recovered Businesses in Argentina. By early 2007, more than 170 businesses were worker-run, though the vast majority were not recognized by the government as legal businesses. Members of the Huesitos de Wilde Cooperative credit La Base, the Argentine-based counterpart of the U.S. micro-finance organization The Working World, as well as the broader community of groups that support worker-run cooperatives, with the factory’s continued success. This support network proved to be invaluable when the workers returned to the factory to reclaim it and discovered that most of the plant’s machinery had been removed. With help from the Employees and Supervisors Union and a $15,000 loan from La Base, the workers were able to buy back the equipment before it was sold at the auction block as well as purchase raw materials. But the process was far from easy. For many months, workers went without paychecks, and only 33 of the original 200 workers chose to remain in the cooperative. Of the workers that left, some have found work while many are still unemployed. The Working World, founded by Brendan Martin in 2004, offers collateral-free loans with no enforcement mechanism for repayment. While the interest rates on the loans given to Huesitos de Wilde range from 10 to 18 percent, the repayment rate for all Working World loans is 98 percent. Though the Huesitos de Wilde Cooperative has managed to keep its factory doors open, the workers still do not own the property. They could be evicted at anytime. 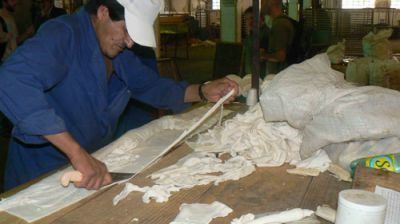 While Huesitos de Wilde only received preliminary approval last February under the law of expropriations, they must continue producing so they can pay off the debt owed by the former owner, thus keeping them in a state of legal limbo until they receive final approval and can be granted ownership of the factory. According to Magnani, while the state has indicated that expropriation laws, which would provide cooperatives with legal permission to use owner assets, might be enacted, the legal support provided by this legislation would be weak. Despite the challenges facing the workers at Huesitos de Wilde, the state of worker-run cooperatives in the United States is still far behind Argentina. Late last year, more than 250 fired workers at the Republic Windows and Doors factory in Chicago held a successful six-day sit-in demanding vacation and severance pay. While the factory remains open after recently being purchased by California-based Serious Materials, a company that manufactures green building supplies, only 15 of the workers have been able to return to work since May, as production has been slow. Serious Materials hopes that an infusion of federal stimulus funds for weatherization will increase demand for the company’s products and allow them to re-hire all 250 workers. Though the workers did consider the possibility of taking over the factory themselves, Mark Meinster, a representative of United Electrical Workers, the union to which the Republic workers belong, told The Indypendent earlier this year that the lack of a recovered-factory movement in the United States made this an unlikely possibility. “The fact that no real movement of worker-run enterprises exists in the U.S. makes this option much more difficult at this point,” Meinster said. Despite the current global recession, the Huesitos de Wilde Cooperative is thriving, and has recently hired eight more employees. The workers remain optimistic, regardless of their lack of legal ownership of the factory. “The truth is that you can work without a boss. We have learned that you can continue … and you can succeed,” Alejandra said. 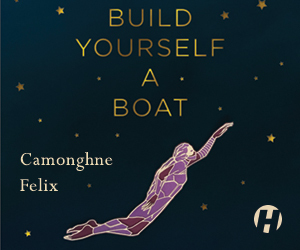 Translation provided by Judith Lantigua, Vivian Onyekachukwu Ekey and Max Garcia.